Over all I think I've got maybe 20% done, though I might be wrong on that account. It's difficult to judge. After knitting the back and one and a half of the fronts of the Central Park Hoodie, ripping everything up again, as it was simply too big and re-knitting half of the back, I've decided that this pattern will not be what I want it to be. I'm not even sure what the problem is, but for now I decided the give up on it and start with another project using the old yarn. 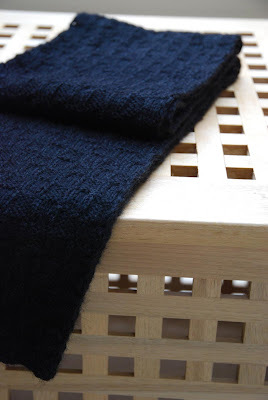 The new project is called Mondo Cable Pullover by chicknits. 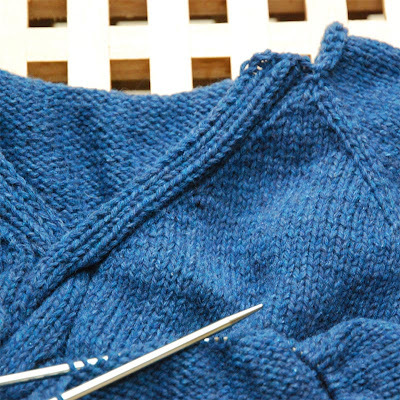 It is a fairly simple top-down, raglan pullover with a large 5 by 5 cable down the front. I've had a wrong start, but now, on the second start I'm rather happy. In the meantime, I've also knitted a new scarf. The zipper on my old winter jacket broke while I was in Sweden, and I bought a new jacket there. Only problem: I've got not a single scarf that matches the new jacket (a sports jacket in red, white and black). I didn't want anything lacy with this so I settled on a simple 4 knit 4 purl pattern, switched over after every six rows. And I used black alpaca yarn for it. Except that finally, FINALLY winter had given up (or at least retreated for a bit) and it's been downright spring outside for the last couple of days. Well, I'm sure I'm going to get some more use out of it, as I'm sure we're not really done with winter. And if not, if it really should stay a bit warmer for a change, I won't be too depressed either. 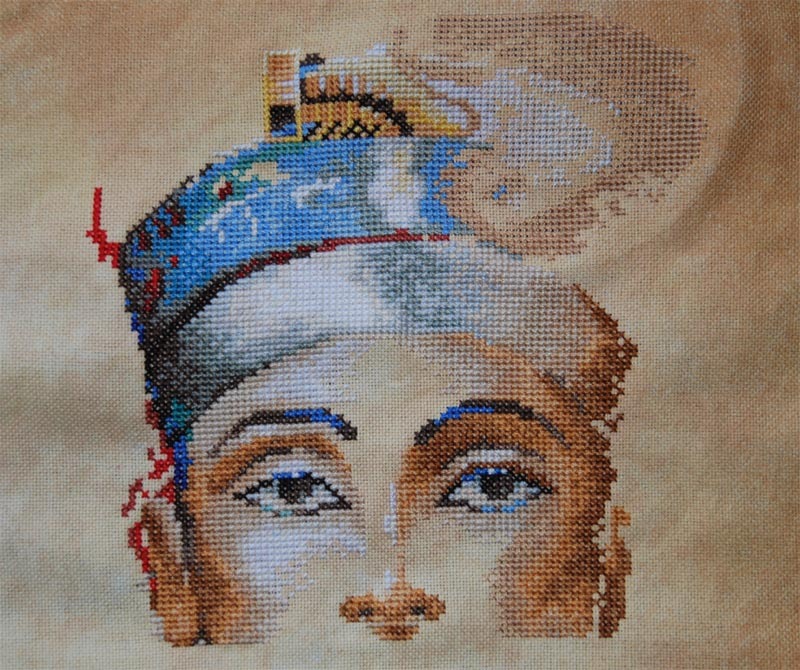 Last, first update on my new stitching project. I've put in some hours already and it's progressing quite nicely. It's been a while since I've did any amount of x-stitch. Last week I've finished two long term projects and started another one. First project was my Sampler Game Board. I've got a plan for this, eventually, to incorperate this into a small couch table. Just need to find the right table now. I know Christmas has been over for a while now, but at least I've started this *before* Christmas (on my flight to Florida to be precise). 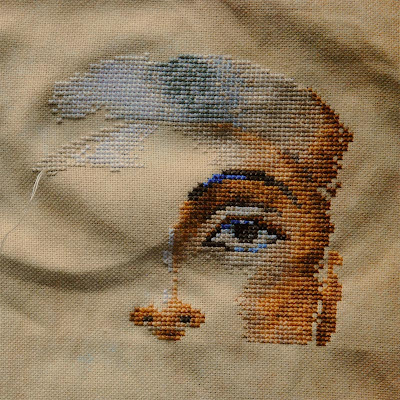 Nice, almost mindless, stitching that and I do like the effect. As I couldn't have no stitching project, I've started with Nefertiti by Lanarte, the companion piece to my King Tut. 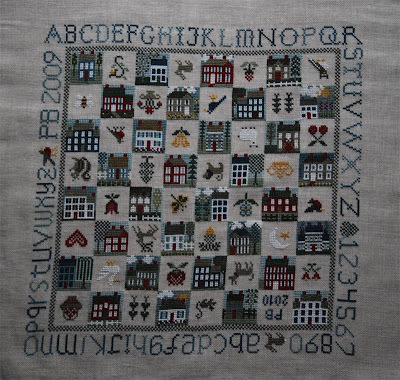 Once upon a time - or, rather, last March - I posted the last update of my Sampler Game Board, a stitching project I've started a long time ago. I know I did stitch a bit more on this one after that post, but pretty much, for most of last year, this project had been put aside (some might say, ignored) for other things to do - like knitting a gazillion socks. Not that I stopped knitting socks, no sir! This is one neat pattern, I tell ya. Not that complicated and the result is jaw dropping cool. 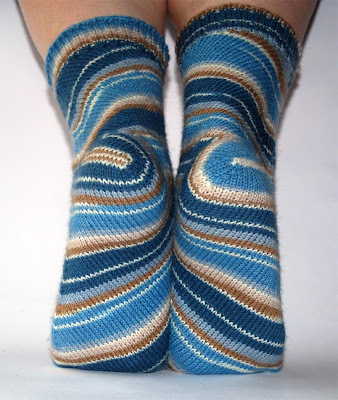 Since posting the above picture on Ravelry I've got a lot of hits and many, many positive reviews. And, of course, I've got another pair on the needles already. 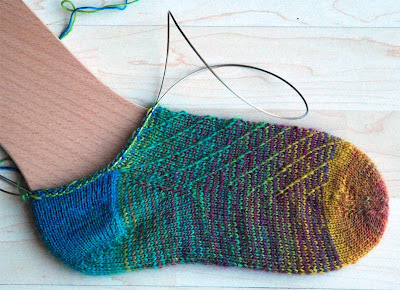 Toe up with what pretty much is a reversed heel flap heel. Pretty funky that, and pretty cool too. 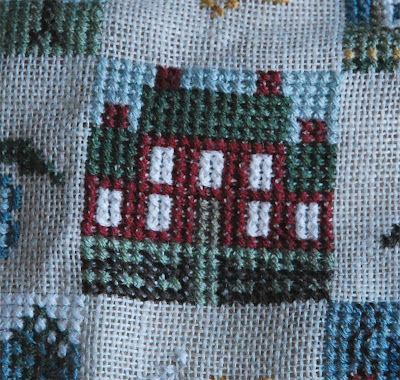 But, to come to the point of this post: I've picked up the Sampler Game Board again and thanks to the cold my dear nephew gifted me with I've got to stay at home the whole of last week and treaded myself with a Due South marathon and some long stitching hours. ... but I think I actually might be able to finish this by tonight. Only three more squares to go.